← Stuff Wot I Made You Can Buy! You can hear the series every weekday from today (mon 14th Sept) until fri 25th Sept at 3.45pm on BBC Radio 4, or via the iPlayer. Two of the so-called Bermuda Triangle’s most mysterious disappearances in the late 1940s may have been solved. Scores of ships and planes are said to have vanished without trace over the decades in a vast triangular area of ocean with imaginary points in Bermuda, Florida and Puerto Rico. But journalist Tom Mangold’s new examination for the BBC provides plausible explanations for the disappearance of two British commercial planes in the area, with the loss of 51 passengers and crew. One plane probably suffered from catastrophic technical failure as a result of poor design, while the other is likely to have run out of fuel. Sixty years ago, commercial flights from London to Bermuda were new and perilous. It would require a refuelling stop on the Azores before the 2,000-mile flight to Bermuda, which at that time was the longest non-stop commercial overseas flight in the world. 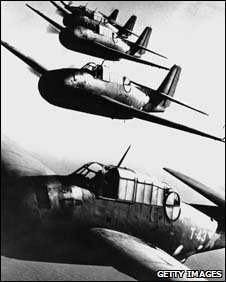 The planes would have been operating at the limit of their range. Today planes arriving at the tiny Atlantic island have sufficient reserve fuel to divert to the US East Coast 700 miles away, in case of emergency. And the planes of the post-war era were far less reliable than today’s airliners. British South American Airways (BSAA), which operated the route, had a grim safety record. In three years it had had 11 serious accidents and lost five planes with 73 passengers and 22 crew members killed. On 30 January 1948, a BSAA Avro Tudor IV plane disappeared without trace. Twenty-five passengers and a crew of six were on board The Star Tiger. No bodies or wreckage were found. The official investigation into the disappearance concluded: “It may truly be said that no more baffling problem has ever been presented. But there are a number of clues in the official accident report that reveal the Star Tiger had encountered problems before it reached the Azores. The aircraft’s heater was notoriously unreliable and had failed en route, and one of the compasses was found to be faulty. Probably to keep the plane warmer, the pilot had decided to fly the whole transatlantic route very low, at 2,000 feet, burning fuel at a faster rate. On approaching Bermuda, Star Tiger was a little off course and had been flying an hour later than planned. In addition, the official Ministry of Civil Aviation report considered that the headwinds faced by Star Tiger may have been much stronger than those forecast. This would have caused the fuel to burn more quickly. “Flying at 2,000 feet they would have used up much more fuel,” said Eric Newton, one of the Ministry of Civil Aviation’s most senior air accident investigators, who reviewed the scenario for the BBC. Whatever happened to the plane, it was sudden and catastrophic – there was no time to send an emergency signal. The Avro Tudor IV was a converted warplane that was eventually taken out of passenger service because of its poor safety record. Only BSAA continued to fly the aircraft. Gordon Store was chief pilot and manager of operations at BSAA. In an interview with his local newspaper last November, he said he had no confidence in the Tudor’s engines. “Its systems were hopeless… all the hydraulics, the air-conditioning equipment and the recycling fans were crammed together underneath the floor without any thought. There were fuel-burning heaters that would never work,” he said. Almost a year to the day after the disappearance of the Star Tiger, another Avro Tudor IV belonging to BSAA vanished between Bermuda and Jamaica. Exactly one hour after departure from Bermuda on 17 January 1949, the pilot of the Star Ariel sent a routine communication of his position. But then the plane vanished without trace at 18,000 feet. According to experts, this would have required a sudden catastrophe. Again, no wreckage, debris or bodies were ever found. Fuel starvation at that height was not plausible, the weather report had been good, and pilot error was ruled out. The plane’s poor design may well have been to blame, according to Don Mackintosh, a former BSAA Tudor IV pilot. The cabin heater mounted underneath the floor where the co-pilot sat is his prime suspect. At the time, aircraft heater technology was still in its infancy. “The heater bled aviation fuel on to a hot tube – and was also fairly close to the hydraulic pipes,” he says. A pressure switch should have allowed the heater to operate when it was in the air but it was unreliable and was often deliberately short-circuited by staff, allowing the pilot manual control. The switch prevented inflammable fuel from flowing, but if the heater was switched on manually, gas that may have collected could have ignited. Captain Peter Duffey, a former BSAA pilot who went on to become a captain of British Airways Concorde, also believes that the proximity of the heater and the hydraulic pipes was significant. “My theory is that hydraulic vapour escaped from a leak, which got on to a hot heater and caused an explosion,” he says. Mr Newton’s report came to a similar conclusion: “If the heater had caught fire down below the floorboards then it could have developed to a catastrophic state before the crew knew anything about it. The official accident investigation discovered that because of a communications error, search and rescue teams were not despatched until seven and a half hours later. By then what was left of the plane and the bodies would have sunk. The report on the disappearance of the first plane, the Star Tiger, said something which, because it could be easily misinterpreted, helped the accident achieve notoriety. In a moment of philosophical conjecture, the investigators mused that maybe “some external cause may (have) overwhelm(ed) both man and machine”. Those comments from sober-suited British civil servants opened the floodgates for conspiracy theorists, hack journalists and mischief makers, adding to the mystery of the Bermuda Triangle. Inside The Bermuda Triangle – The Mysteries Solved is broadcast in 10 episodes on BBC Radio 4, starting on Monday 14 September at 1545 BST.